I know I’ll never be a poet. For one thing, I rarely have any deep insights that would benefit from a pithy exploration of inner psychological details, historical events, or trees. I am, however, particularly drawn to writing headlines, coming up with puns to make even the strongest editor cry, and cracking jokes. Which makes me the perfect writer for crafting misleading descriptions of popular works of literature which intentionally miss the point. And so today, I offer you my list inspired by the supposedly true story of a description of The Wizard of Oz which once appeared in TV Guide. It is said to have read A young girl travels to a magical land where she kills the first person that she meets, then joins with others to kill again. To Kill a Mockingbird — Recluse reluctantly drawn into community affairs. Jurassic Park — Entrepreneur surprised when genetic experiments go awry. The Bonfire of the Vanities — Arrogant bond salesman arrested for murder. Midnight in the Garden of Good and Evil — New Yorker documents Southern bachelor’s protracted legal battle. The Princess Bride — Improbable romance diverts recovering boy. Of Mice and Men — Social interactions perplex mentally challenged farm worker. Roots — Black author’s genealogy quest proves successful. 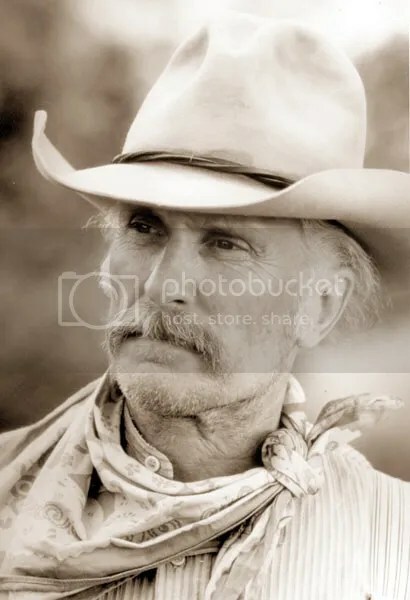 Lonesome Dove — Accidental shooting impacts Old West events. Raising Arizona — Man finds ingenious solution to wife’s fertility problems. The Crying Game — Romance blossoms between kindhearted IRA foot soldier and English free spirit. A Simple Plan — Downed plane provides Minnesota couple with windfall. My Left Foot — Handicap limits boy’s interactions with others. The Stand — Altered virus proves remarkably efficient. Amadeus — Institutionalized musician reflects upon colleague’s career. The World According to Garp — Fatherless writer settles into domestic life, with mixed results. Dangerous Liaisons — Complex coiffures, raiment provide little hindrance to promiscuity. Cold Mountain — Walking home can take a really long time. The Bridges of Madison County — National Geographic foots bill for randy photographer’s conquests. O Brother Where Art Thou? — Latent musical ability discovered in trio of escaped convicts. Girl With a Pearl Earring — Servant girl’s domestic duties interrupted by master’s whims. The Sixth Sense — Hallucinations worrisome for Philadelphia youth. Vanilla Sky — Man grapples with issues surrounding reconstructive surgery. The Executioner’s Song — Ex-con struggles to re-enter society. Mulan — Young Chinese girl discovers father’s armor fits her comfortably. The Sound of Music — Austrian postulant revises career choice. A Tree Grows in Brooklyn — Arboreal nuisance achieves rapid growth in urban setting. Back to the Future — Son seeks origin of parents’ romance. Boogie Nights — Aspiring actor makes logical career choice. Catch Me If You Can — Ambitious student explores several career options. Coal Miner’s Daughter — Mountain lass marries young, moves far from home. Escape from New York — Experimental penal colony established despite risk. Lemony Snicket’s A Series of Unfortunate Events — Orphans persevere despite custody issues. Saturday Night Fever — Spare-time pursuits of paint-store employee documented. One Hundred and One Dalmatians — Societal consequences of lack of spay/neuter policy explored. Rear Window — Shut-in occupies time between girlfriend’s visits. The Da Vinci Code — Man offers surprising interpretation of Biblical events. An American Werewolf in London — Injured during a trip abroad, a college student finds romance with nurse. Splash — Woman from overseas adjusts to American life. A Few Good Men — Naval official surprised by consequences of his actions. Alien — Space voyage diverted by unexpected event. Apollo 13 — Astronauts struggle with home, work issues. Beetlejuice — Young couple surprised by accident’s outcome. Total Recall — Man struggles with realization of marital betrayal. And HEY!! I think you CAN be a poet!!! You have the ability and prose for any writing!! Any writing except serious, important or informative, that is. Good. I thought you said it was crap and a fart. I think I need for you to write a one-liner to help me sell my novel!